Laser hair removal is one of the most popular skin treatments available today. Man or woman, we all have unwanted hair, somewhere on our body. After a while, you get tired of tweezing, shaving, bleaching, and waxing. In some cases, it’s painful. And it never ends, does it? That unwanted or excessive hair just keeps growing back. Creams and other “remedies” don’t work. Laser hair removal gives you control over unwanted or excessive hair growth. It can save you time and frustration and give you smoother skin. Long term. This procedure can target precise or broad areas, virtually anywhere on your body. The procedure is non-invasive, fast, and FDA-approved. Unwanted hair can be caused by genetic, environmental, or medicinal factors. In the hands of a skilled professional, gentle lasers can be used to target and neutralize individual hair follicles. This in-office procedure is both safe and effective, so you can use it to get rid of hair on your face, chest, arms and armpits, shoulders, back, bikini line and pubic areas, buttocks, legs, feet and hands — even tiny areas like the upper lip, earlobes, and toes. Laser hair removal treatment combines well with other non-surgical procedures and skin-care products that are designed to give your skin a smoother, more youthful, healthy glow. Through laser hair removal, you can remedy unappealing or unwanted hair, giving you the pleasure of aesthetically-pleasing, smooth skin without having to undergo an invasive procedure. In addition, since you can determine the schedule and target areas for your treatment, laser hair removal is always a custom procedure. It’s about giving you maximum control and confidence in your appearance. Although we often refer to laser hair removal as a “permanent” solution, this isn’t quite true. While results are certainly impressive and very long-lasting, eventually a few fine hairs may reappear. This is easily remedied with a “refresher” treatment. Lasers are very precise, which allows targeting of specific hair follicles without harming surrounding tissue. That makes the procedure ideal for tiny areas such as toes as well as large areas such as the back. Treatment sessions are fast. For example, it takes only about one second to treat an area the size of a quarter, about an hour to treat a large area such as the entire back. You can eliminate the hassle and expense of endless shaving, waxing, tweezing, etc., once and for all. You can achieve smooth skin and say goodbye to unsightly razor burn, bumps, or stubble. Some patients also see improved skin tone and texture. Any time of year is good for laser hair removal. That said, you’ll want to stay out of the sun prior to your appointment because tanning or sunburn interfere with the laser’s ability to function. The laser used for hair removal is a highly-targeted, intense beam of light. When directed at hair follicles below the skin’s surface, the laser zeroes in on the pigment within the follicles. The pigment absorbs the light, killing the follicle so it can no longer produce hairs. Following the procedure, hairs in the treated area will fall out gradually over the next month or so. The procedure itself is not painful, though there is some mild discomfort. Most patients say it feels like being snapped with a rubber band. It takes more than one session to achieve optimal results, because the laser works only on active follicles. Hair grows in cycles, and not all hairs are on the same cycle, so multiple treatments are needed to effectively target those that are currently active. The number of sessions and the timing varies for each individual, but typically you will need 3-7 treatments to achieve optimal results. Unlike waxing, you don’t need to grow hair out before or between sessions. It’s OK to shave, too, because the laser targets follicles below the surface. There is no downtime following laser hair removal treatments. In rare cases, there may be some blistering, which is more likely to occur in people with dark skin. Typically, your skin will look and feel slightly sunburned for a day or two, but this can be alleviated with moisturizers or a cold compress. You will be advised to wait a day before using makeup. You should always wear sunscreen when going outdoors, especially after laser hair removal or any other skin rejuvenation treatment. Because the laser targets pigment, it must be able to “see” the pigment and distinguish it from surrounding skin. Therefore, the procedure works best on patients with dark, coarse hair and fair skin. If your hair and skin are both dark – or both are light – there may not be enough contrast to achieve desired results. In the past, laser hair removal was out of the question for those with gray, white, or very blond hair, but recent advancements have improved laser technology. Every person has somewhat different skin, hair, medical history, lifestyle, and aesthetic goals that are uniquely your own. Treatment details, results, and potential side effects are also highly individual. This is why scheduling an in-person consultation is the best way to learn whether or not laser hair removal is right for you. During your private conversation with Dr. Raval or one of our Paramedical Aestheticians, you can learn more about the pros and cons of laser hair removal treatments. They can evaluate your skin and discuss your goals, and they can perform a test procedure to predict your specific results. Then we can recommend a personally-tailored treatment plan. Trust is crucial when you’re considering laser hair removal. This is a medical procedure, not a spa treatment. It takes extensive training and experience to perform laser treatments safely and effectively. So it’s important to know that laser hair removal clinics are not all the same. Choosing the best-qualified, most experienced provider to ensure you get the best and safest experience and results. 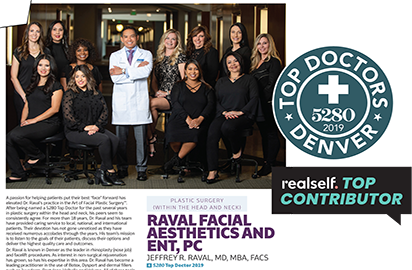 At Rocky Mountain Laser Aesthetics, Dr. Raval and our Paramedical Aestheticians are all highly trained and up to date on the latest laser skin treatments and techniques, including unwanted hair reduction. Our focus is on providing natural looking results in a comfortable, caring environment. It’s our commitment to training, safety, and comfort that enables us to successfully tailor treatments to each patient.